Stack Modular is proud to have our President, Jim Dunn, presenting at this year’s CHIC conference in Toronto. Jim will be discussing how modular construction is revolutionizing the way hotel chains are expanding their asset portfolios. Modular construction methods are enabling hotel developers to complete projects up to 60% faster than traditional methods. 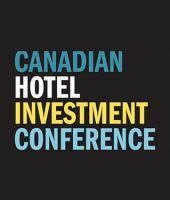 For 21 years, the Canadian Hotel Investment Conference has established itself as the definitive source for information, insight and opinion on today’s Canadian lodging market. For senior executives from across North America this business conference delivers outstanding insight on where the industry is today, where its heading and the options it can deliver.